The Smithereens In Concert The time-tested pop-rock band has just returned with Smithereens 2011, a new album of original songs. Hear the group perform live on WXPN. The rock music veterans in The Smithereens have just returned with a brand-new release, Smithereens 2011, which marks their first set of new originals since 1999's God Save the Smithereens. What better way to celebrate than to listen to the band perform songs from its new record at World Cafe Live? 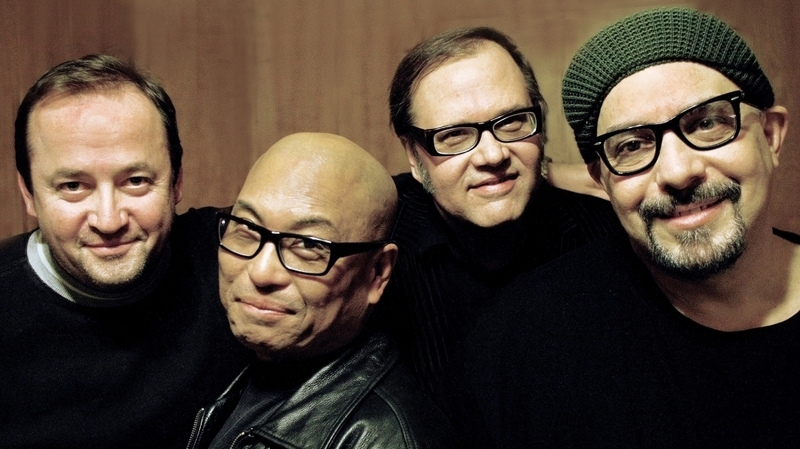 The Smithereens' members have earned their living with successful releases for more than 25 years, dating all the way back to their debut album, Girls About Town, in 1980. Since that time, they've appeared all over U.S. Billboard charts, performing concerts domestically and internationally, and even lent their signature sound to a handful of movie soundtracks. The Smithereens might be one of the only bands in history to take lifelong influences from Buddy Holly and The Beatles and spin it with elements of heavy metal and prog-rock. In addition to this Live Fridays concert, you can catch The Smithereens at this summer's XPoNential Music Festival on Friday, July 22.